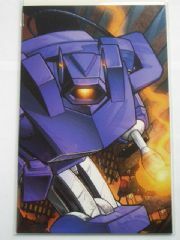 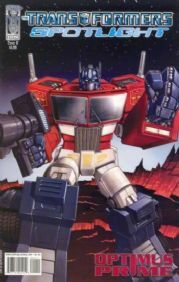 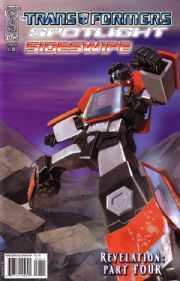 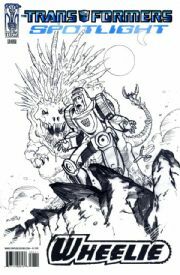 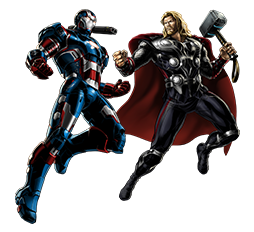 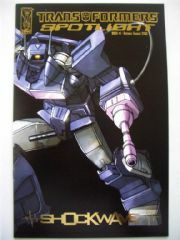 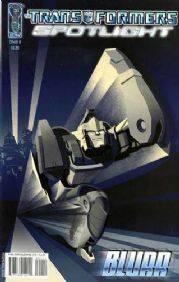 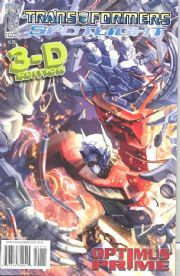 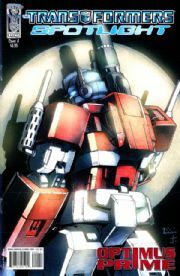 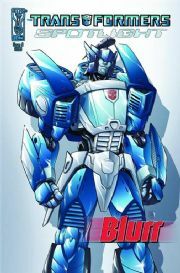 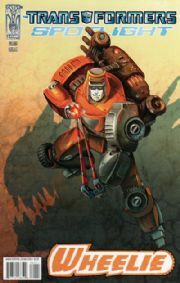 Transformers Spotlight comics series consists of single-issue stories based in IDW's Generation 1 universe and each features an individual Transformer. 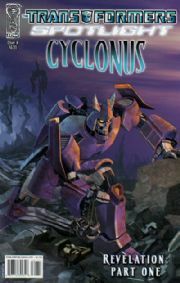 Split in volumes of 5, the first volume featured Shockwave, Nightbeat, Hot Rod, Sixshot, and Ultra Magnus. 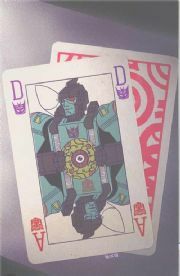 The second featured Soundwave, Kup, Galvatron, Optimus Prime and Ramjet. 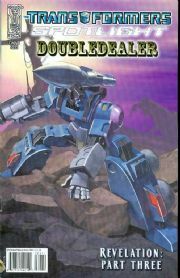 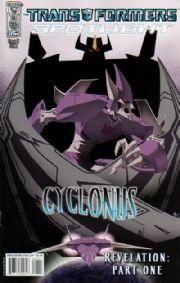 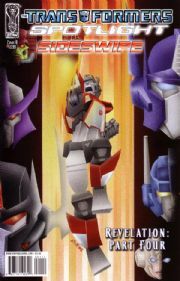 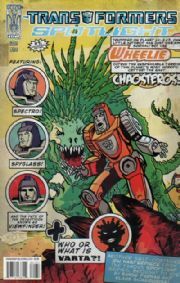 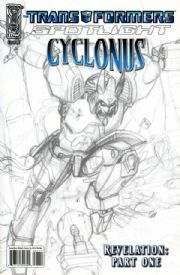 The third featured Blaster, Arcee, Mirage and Grimlock and Wheelie, with four more issues comprising The Transformers: Revelation. 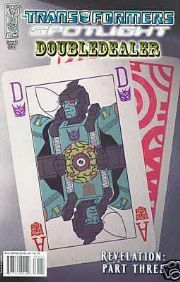 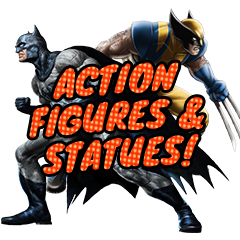 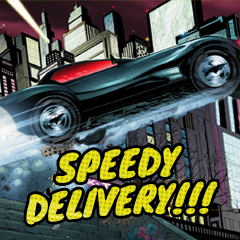 Although the Shockwave and Nightbeat issues were numbered #1 and #2 respectively, individual numbering for the series was abandoned with the Hot Rod issue as the series expanded beyond five issues.